Nashville fans are still mourning the sudden and tragic death of Rayna James, played by the beautiful and talented Connie Britton. When the series ended after 4 seasons on ABC, many fans of the show were hopeful that the series would get a pickup by another network. 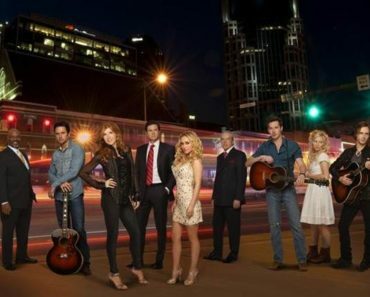 CMT came to the rescue and renewed the series for a 22-episode fifth season. However, Britton had only signed on for 12 episodes for a fifth season of Nashville. Britton is no stranger to the world of television having appeared on such series as Friday Night Lights and Spin City. Here are six fun facts on the stunning actress. Nashville star Connie Britton has a twin sister named Cynthia. Though she is not an actress, Cynthia has made a name for herself as a defense contractor for the Department of Energy located in Virginia. When Connie is living and working in Nashville she is only a few hours away from her twin. It should not be a surprise to any Nashville fan that Connie Britton is a terrific actress. The Emmy committee agrees as Britton received an Emmy nomination from 2010-2013. The first two years, Britton achieved her nominations by portraying Tami Taylor on Friday Night Lights. In 2012, Britton was nominated for her work on the miniseries American Horror Story. Britton’s final nomination to date came from her work on Nashville playing Rayna James. Could this year be another nomination for her work on the fifth season of Nashville? After high school, many actors decide to skip college and make the big move to New York City or Los Angeles in order to make it in the industry. The Nashville actress decided to attend Dartmouth College and received a degree in Asian studies. She even spent a summer studying abroad in Beijing and speaks fluent Chinese. Several singles from Nashville have cracked the top 100 on the Country music charts. Five singles featuring the vocals of Connie Britton have made it into the top 50. The first was “No One Will Ever Love You,” featuring Charles Esten in 2012. The last of the five singles was the duet with Hayden Panettiere in 2014 called “He Ain’t Gonna Change.” The season 1 volume 1 soundtrack for Nashville even hit #1 on the charts. In 2014, the Nashville songstress was honored as a Goodwill Ambassador for the United Nations. Britton’s main focus is to fight poverty in foreign countries and to empower the women living there. She joins other celebrities like Maria Sharapova and Antonio Banderas in this role with the group. 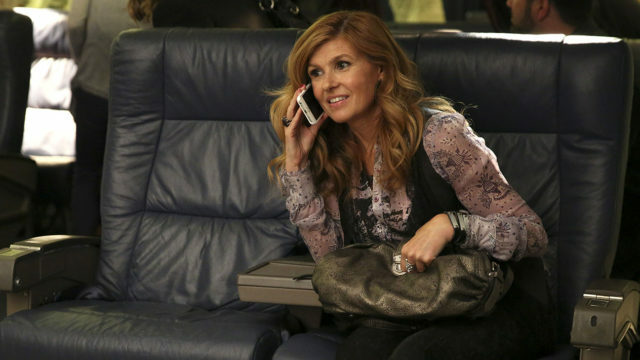 Will you miss seeing Connie Britton on Nashville? Let us know in the comments section below.